Losing your job as an expat in Switzerland, what happens next? “Thousands of people relocate to Switzerland every year to work for the more than 25,000 multinationals in the country. Losing a job is difficult enough, but when it happens in a foreign country, it can be devastating. The announcement that Novartis plans to slash about 2,200 jobs by 2020 is a wake-up call for many foreign nationals working in large multinationals in the country. Some 70% of Novartis employees in Switzerland are not Swiss nationals. While the company has indicated it plans to relocate around 700 positions in its “managerial and transactional capabilities” to its five global service centres, many others will be dismissed from the company entirely. Many skilled foreign workers are part of a privileged group in Switzerland: no queues for a permit, a nice package of relocation perks and attractive compensation to help ease into life in a foreign country. But, in the unfortunate case that an expat loses their job, it can turn their world upside down. They are often dependent on their employer for everything from their permission to live in the country to housing and school fees for their children. Collective redundancies or mass dismissals are very sensitive legal matters and have significant practical implications, particularly for foreign nationals who came to the country for work. Policies and practices can also vary significantly by company and employee seniority and length of service. One of the most important questions for foreign nationals who lose their job is: can I stay in Switzerland? Many foreign nationals have L or B permits that are tied to their employment, which means that if they are dismissed, they lose their permit. EU/EFTA citizens are able to stay in the country for three months to look for another job, but this can often be extended. Other nationalities face more restrictions. According to the State Secretariat for Migration, non-EU citizens can stay in the country for 30 days after the authorities receive information about the person’s dismissal even if the permit indicates that it is valid for longer. This can be extended with permission from cantonal authorities and often is if the person is receiving unemployment benefits. The person will eventually need to leave the country if they are unable to find a new employer willing to apply for a permit on the person’s behalf. Family members that have a residency permit based on family reunification would also need to leave the country. Statutory notice periods in Switzerland are longer than in the United States, among other countries, thus providing more time for workers to search for a new job or make plans to return home. According to Swiss law, companies must give one month’s notice during the first year of service and two months from the second to the ninth year of service. André Lerch from law firm Humbert Heinzen Lerch, says many companies have contractual notice periods that go beyond two months. Michael Tomsett of the foreigner support service Hello Switzerland says corporate policies vary and there are important differences between “foreign local hires” and “expats”. The former are foreigners that have Swiss contracts. Some companies will try to transfer these employees onto project work or put them on gardening leave (on the payroll but not working). 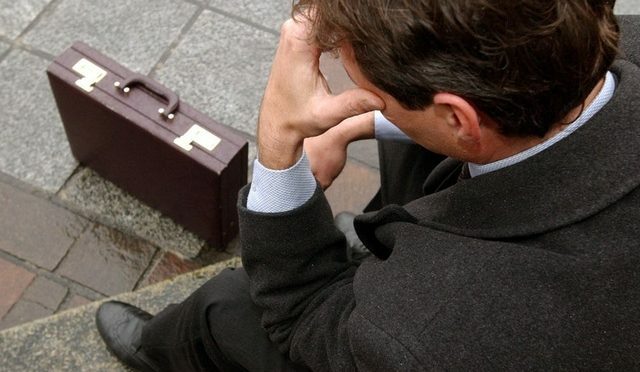 Some pay for outplacement schemes to help find a new job while other companies will pay for the person to return home. Expats, typically in senior level positions, are more likely to have “detached worker contracts” or an employment contract from another country. The company is more likely to try to relocate this person. Ultimately, the decision to stay in the country will depend on the practical realities facing employees and their families. Tomsett believes that in cases like Novartis, “mass departure from Switzerland is not to be expected, but instead a concerted attempt to find new positions in the Swiss ‘local’ market”. Am I entitled to any unemployment benefits? If the person resides outside Switzerland and has a cross-border commuter permit (permit G), they receive unemployment benefits in the country of residence but can benefit from the services of the public work placement scheme in Switzerland. These benefits can be significant. Mossaz explains that the amount corresponds in general to 70% of the maximum insured amount, which is CHF12,350 ($12,750) per month. To receive these benefits, one needs to report to the regional employment centre (RAV). Employers also have certain obligations concerning employees. Lerch explains there are different expectations in the case of mass dismissals versus individual terminations. If it is more than 30 people within 30 days for companies with more than 300 people, it meets the threshold for a mass dismissal or collective redundancy (see box below.) There are specific procedures employers must follow in the case of mass dismissal including negotiations with employee representatives to develop a social plan. As we reported, Novartis has been in consultations with the in-house social partner, NAV. As highlighted above, some employers will cover an outplacement scheme, where the employee receives coaching and support to help them make that move out of the company into the “local” Swiss employment market. What about all the fringe benefits? Housing is often one of the biggest concerns for foreigners, says Tomsett, whose relocation partner firm Packimpex works with 12,000-15,000 people a year, or about 5,000 family units who are either coming to or leaving the country. He says some things are non-negotiable for employees. “They may be locked into rent for one year or more. The Swiss often require three to six months’ notice to leave an apartment. It’s not uncommon for foreigners to have signed a housing contract that they didn’t really understand.” They often need help negotiating out of it. Relocation firms also try to help private clients find affordable housing options if they have to leave corporate housing. They also include other departure services to reduce costly pitfalls and expenses related to moving. Some employees will also have insurance plans to help continue covering international school fees in the case that the employer does not continue to pay the fees.” By Jessica Davis Plüss, 27.09.2018.